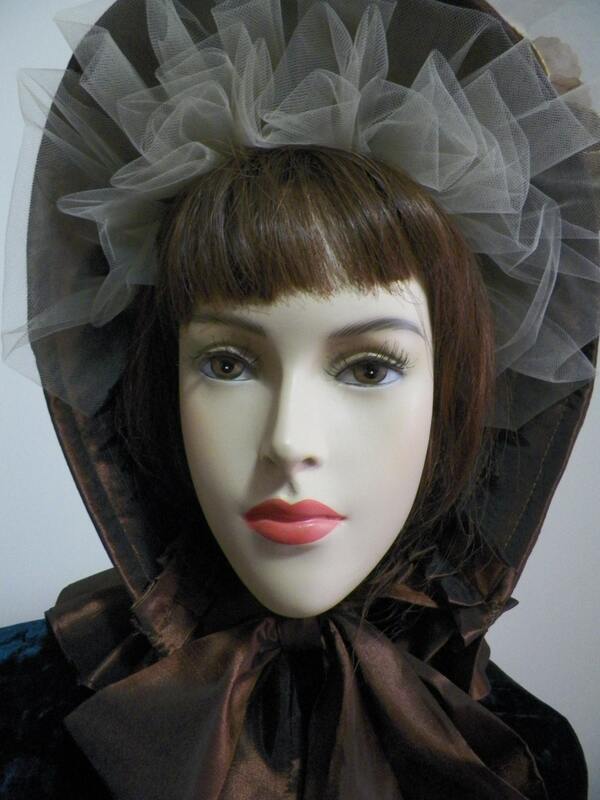 You are admiring a beautiful custom made Victorian Civil War Dickens Regency 1800's bonnet. 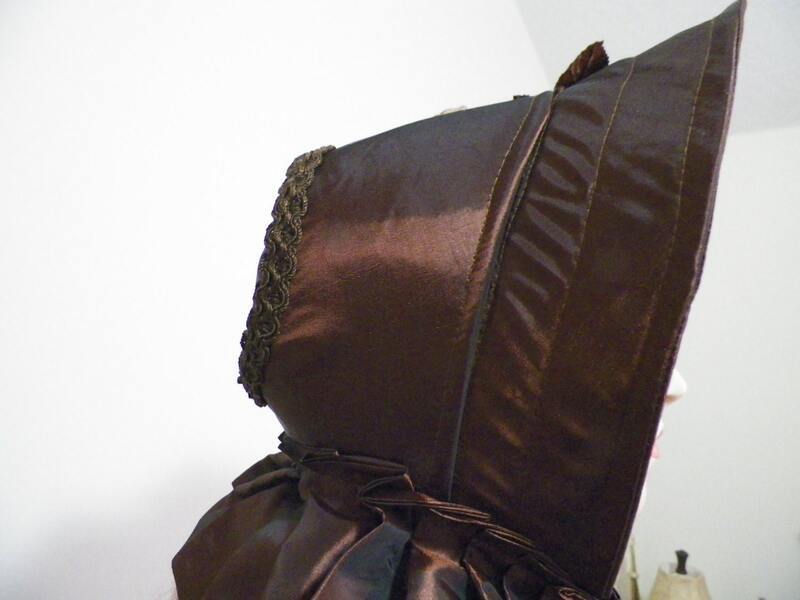 The bonnet that you see is made in brown iridescent taffeta. 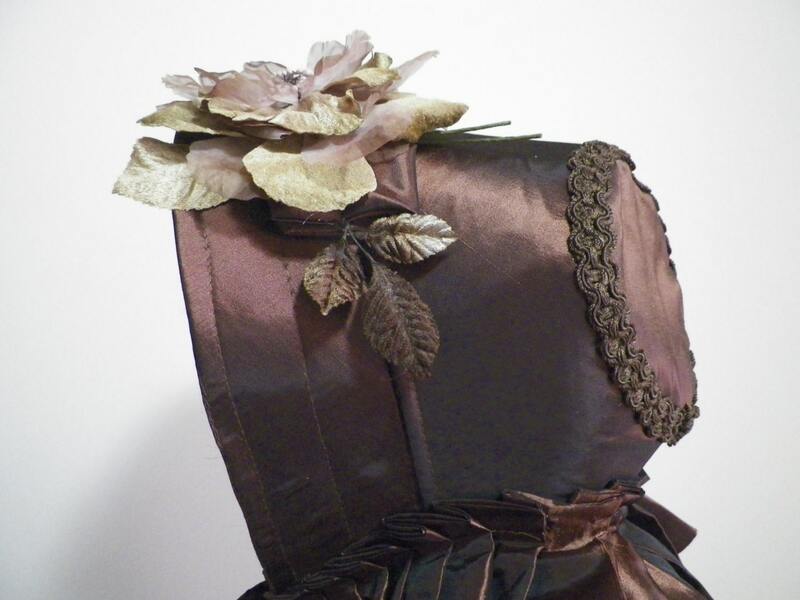 Has antique velvet roses and trims. 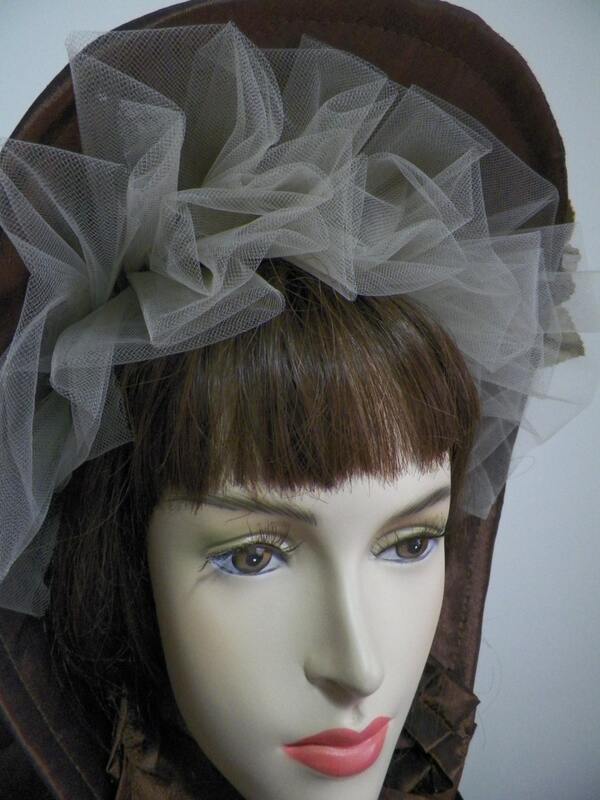 Lots of lace trim makes the bonnet more dramatic, and very very feminine. Florals in complimenting colors are the highlites. The lace trim is made from soft silk tulle in pale beige. 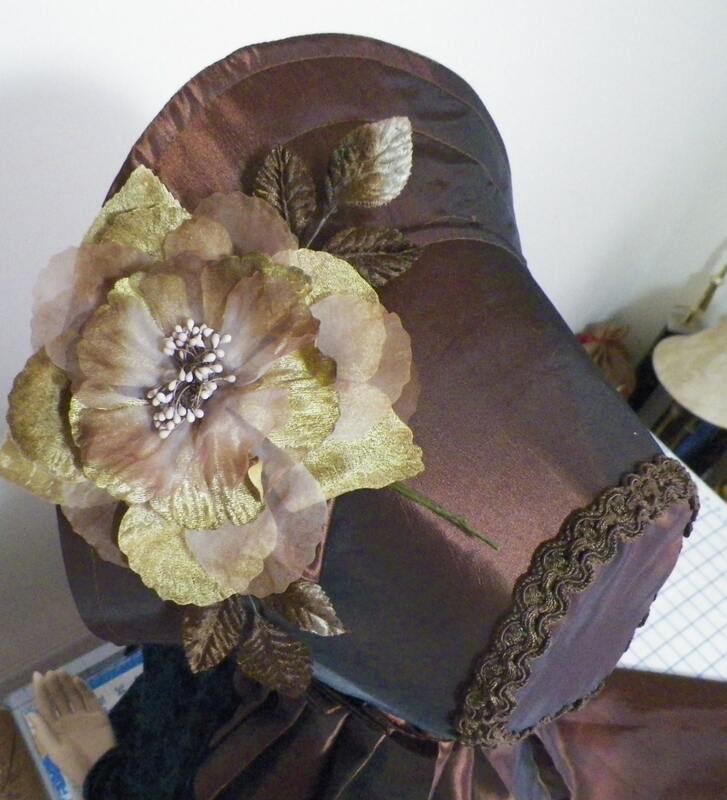 All bonnets and hats in my etsy shop can be ordered in most any color. Fabrics can be silk, satin, brocades, cottons, and more.